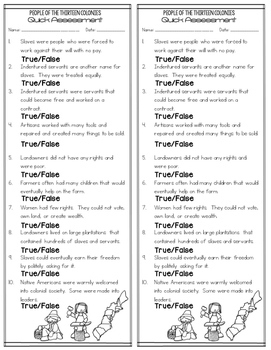 13 Colonies quick & easy 10 question True or False? 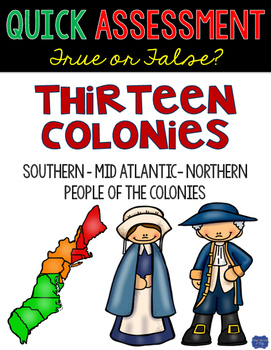 quiz A quick check of knowledge of the most basic facts of the Thirteen Colonies. 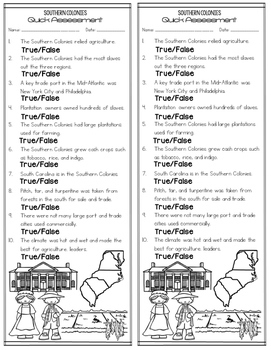 Excellent social studies prep for the Georgia Milestones test & it won't take your entire class time! 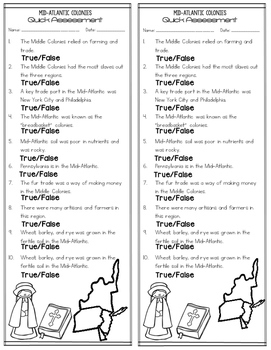 View my 13 Colonies Task Cards! Don't Miss My Newest Products! Have a question? Click here to send me an email!Let's stay in touch! Check out our website for teaching tips, ideas, & freebies! © 2016 Bowtie Guy This purchase is for you and your classroom. Duplication for an entire school, an entire school system, or for commercial purposes is strictly forbidden. Please have other teachers purchase their own copy. If you are a school or district interested in purchasing several licenses, please contact me for a district-wide quote.